Toyoda Gosei Report | Toyoda Gosei Co., Ltd. 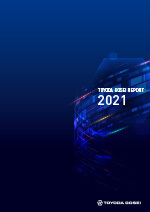 The Toyoda Gosei Report is issued so that all Toyoda Gosei stakeholders may better understand the approaches and activities of the Toyoda Gosei Group. Through this we hope to earn their greater trust.